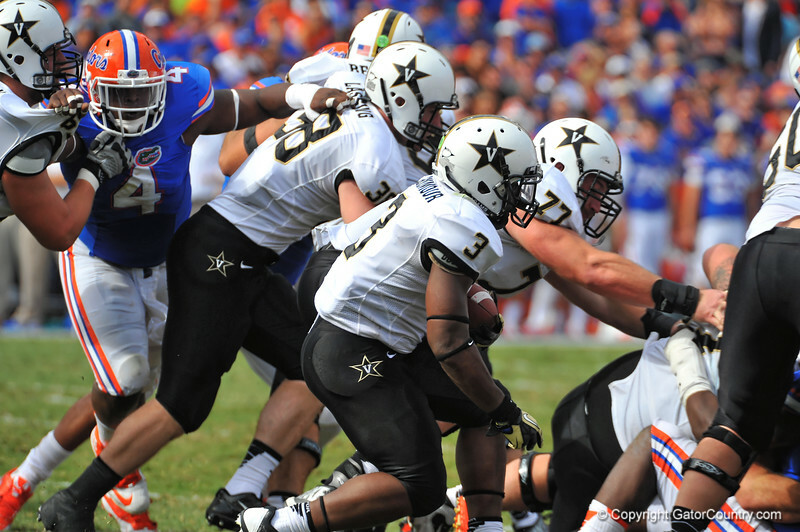 Vanderbilt Commodore RB Jerron Seymour receives the handoff and looks for an open hole in the Gator defense. Florida Gators vs Vanderbilt Commodores. Gainesville, FL. November 9, 2013.